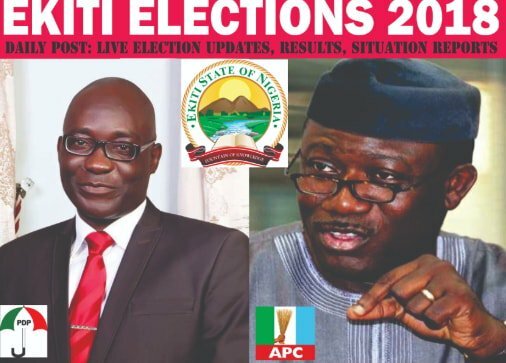 The official results collated by INEC in Ado Ekiti late last night has been obtained. 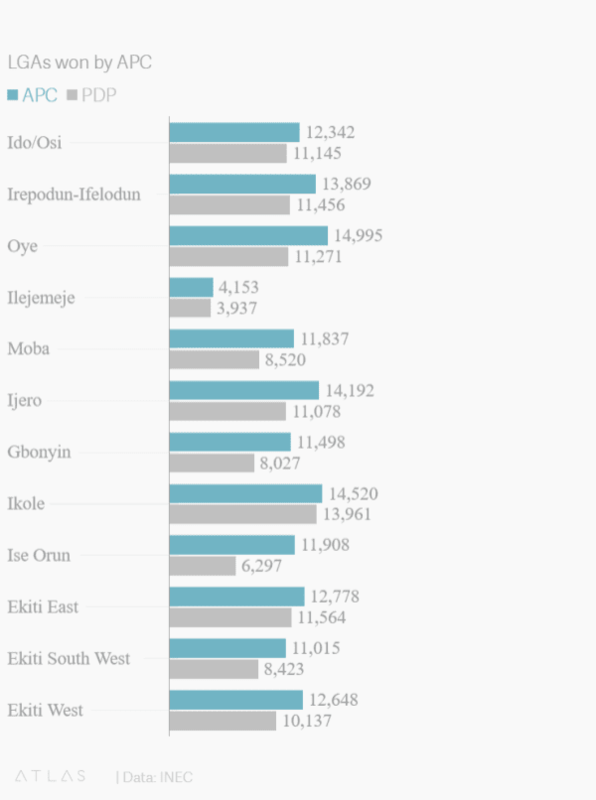 Here is the breakdown of the result by LG. 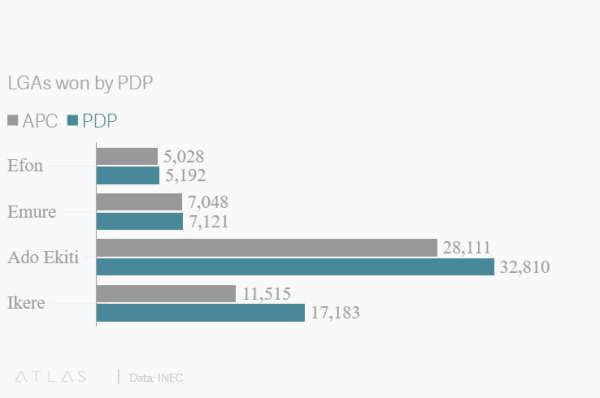 FINAL: APC = 197,462, PDP = 178, 101 Diff: 19,361. Comment: That’s good news about the election.